Be sure to check out our 5 Questions interview with the beautiful and talented Génesis Rodríguez to read how she learned to cry on command! Everyone in show business knows that comedy is hard. Apparently, however, it’s not hard enough for Will Ferrell. 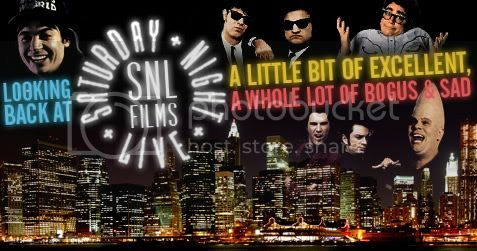 The SNL-bred all around comic superstar decided sometime ago he wanted to make a film in Spanish. He didn’t know what the movie would be about, but one thing was clear, the far from fluent Farrell would need to learn his part semi-phonetically, which by all accounts is every bit as difficult to do as you might imagine. With the help of writer Andrew Steele and first-time feature director Matt Piedmont, that movie evolved into “Casa de mi Padre” (“House of My Father”). A broad but reasonably affectionate and detail-oriented spoof of telenovelas and Mexican and American exploitation movies, the film stars Farrell in one of his best performances yet as the 100% virtuous Armando Alvarez. Armando’s unwavering good guy nature is tested by the disrespect of his wealthy patriarch dad (the late Pedro Armendáriz Jr.) as well as the fact that his beloved brother, Raul (Diego Luna), has become a powerful narco at war with the ultra villainous La Onza (Gael García Bernal). Even more challenging is the increasingly melodramatic mutual attraction betwixt Armando and Raul’s fiercely stunning fiancée, Sonia (Génesis Rodríguez). Bullz-Eye was fortunate enough to meet with several members of the cast and crew one day earlier this month. Along with comedy superstar Ferrell, we met with Latin-American heart-throb and respected U.S. actor Diego Luna, who may still be best known stateside for co-starring in 2001’s hyper-sexual “Y Tu Mamá También” with real-life lifelong best pal and “Casa” co-narco Gael García Bernal. Also along for the ride was fast rising comic actor Nick Offerman of “Parks and Recreation,” who portrays a bigoted DEA Agent. To discuss behind-the-camera matters we also spoke with screenwriter Andrew Steele (“The Ladies Man”). Also present at the event was the beguiling Génesis Rodríguez, who is the subject of a separate “5 Questions” feature. Below are some highlights of the rather freewheeling discussions. Will Ferrell on how “Casa de mi Padre” came to be. I had always thought that it could be interesting to put myself in the middle of a Spanish language movie and fully commit to speaking Spanish. That heightened world of the telenovela meets the bad Mexican spaghetti western — all of that seemed like it could be a recipe for a type of movie you hadn’t seen before. Diego Luna on his opinion of Will Ferrell’s Spanish. He sounds perfect. You understand everything, basically. I was very worried. Forty days before we started shooting, I sat down in a bar with him and the director and he knew no Spanish at all. He couldn’t speak it. He said, “Yeah, well, I’m gonna try.” Thirty days later he gave this two-minute monologue and, in fact, he makes sense. He understands what he’s saying. That was impressive, and [it was also] very impressive that two weeks after he forgot everything. Patrick Perez, who translated the script from English into Spanish, I kind of got to know him and he said, “Hey, I’m willing to work with you on your Spanish if you want.” I said “That’d be great.” We just started working about a month to six weeks out in front of the movie, meeting three or four times a week. Once we started filming, we would drive to the set every day and drive home every day. In the morning, [we’d] work on the scene or scenes for that day. On the way home, [we’d] start to work on the next day, to try to just embed it into my brain.